TGIT just got a little less Gladiator-y. 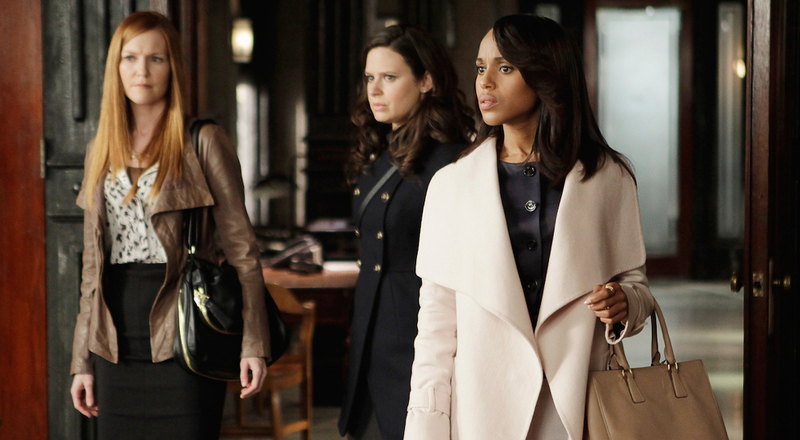 ABC recently announced its fall schedule and Scandal has been pushed back to a midseason premiere. But worry not, Gladiators, it’s only to accommodate Kerry Washington’s pregnancy. Thus, while Thursday nights will still have Grey’s Anatomy (8 p.m. ET) and How to Get Away with Murder (10 p.m. ET), new drama Notorious will take the 9 p.m. ET timeslot. Other shows slated for midseason premieres include The Catch, The Bachelor, and American Crime. New series like Shondaland’s Still Star-Crossed, Kevin Williamson’s Time After Time, Allison Tolman-helmed comedy Downward Dog, and Jenna Elfman’s Imaginary Mary will also premiere midseason. Meanwhile on Tuesdays, Marvel’s Agents of S.H.I.E.L.D. is moving to 10 p.m. ET to accommodate a two-hour comedy block made up of The Middle, Fresh Off the Boat, The Real O’Neals, and newcomer American Housewife. That way you get your fix of family-centric sitcoms before watching the convoluted, sci-fi-heavy spy-family drama that is S.H.I.E.L.D. Wednesdays will have The Goldbergs at 8 p.m. ET with new series Speechless to follow. Kiefer Sutherland’s Designated Survivor gets the 10 p.m. ET slot that previously hosted Nashville. Hayley Atwell will continue to be on ABC, though just not as Agent Carter. Instead, she’ll make her home on Monday nights with new drama Conviction, which will air immediately after ratings beast Dancing with the Stars. 10-11 p.m. – Marvel’s Agents of S.H.I.E.L.D.